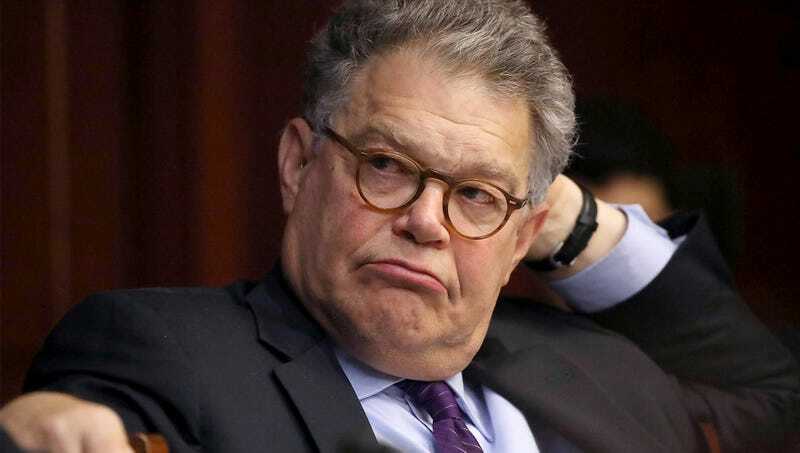 WASHINGTON—In response to radio personality Leeann Tweeden’s allegations of being inappropriately groped by Al Franken during a 2006 U.S.O. tour, Democratic Party leaders issued calls Thursday for a convincing amount of condemnation for the Minnesota senator. “I urge my fellow Democrats to renounce Senator Franken’s unacceptable behavior in the absolute most plausible way,” said Senate Minority Leader Chuck Schumer, adding that he hadn’t ruled out taking steps to eventually look into the matter. “It’s imperative that we unequivocally go through the motions of rejecting any and all forms of sexual misconduct, and I’m confident that all Democrats will join me in denouncing the senator’s actions in the strongest believable terms.” Schumer also said that party leaders would remain steadfast in their lip service even if additional Democrats were accused of sexual assault.